Form No. 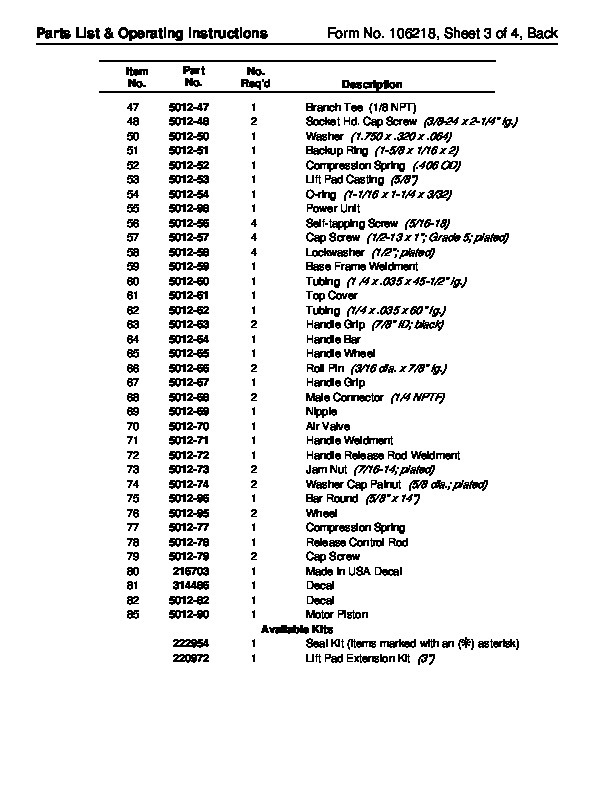 106218 Parts List & Operating Instructions for: 5012A Under Axle Jack Max. Capacity: 25 Tons The Under Axle Jack is an air-operated lifting device designed for jacking loaded trailers and trucks using the manufacturer’s recommended lift points on the chassis. Sheet No. SPX Corporation 1 of 4 Issue Date: Rev. 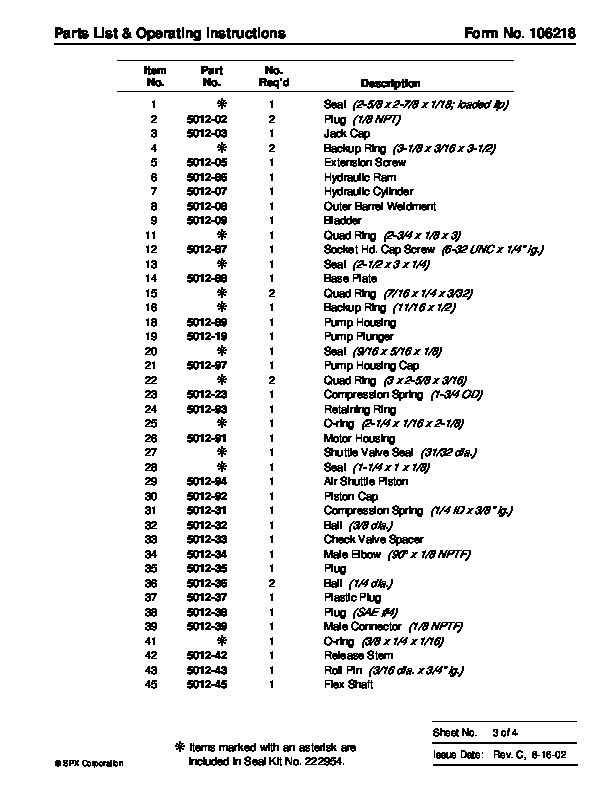 C, 8-16-02 Parts List & Operating Instructions Form No. 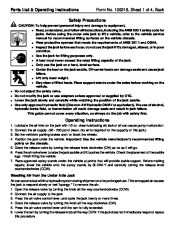 106218, Sheet 1 of 4, Back Safety Precautions CAUTION: To help prevent personal injury and damage to equipment, · Read, understand, and follow all instructions, including the ANSI B30.1 safety code for jacks. 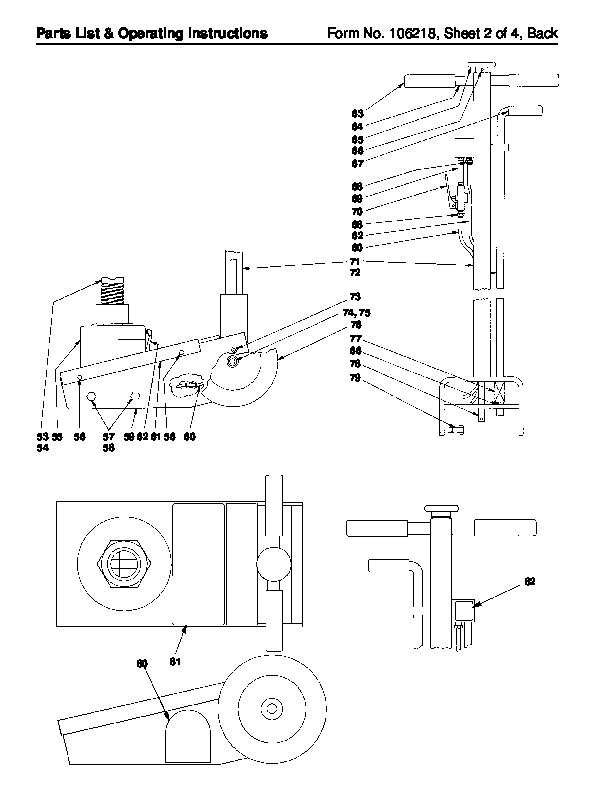 Before using the under axle jack to lift a vehicle, refer to the vehicle service manual for recommended lifting surfaces on the vehicle chassis. · Wear protective eyewear that meets the requirements of ANSI Z87.1 and OSHA. 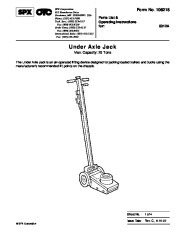 · Inspect the jack before each use; do not use the jack if it’s damaged, altered, or in poor condition. 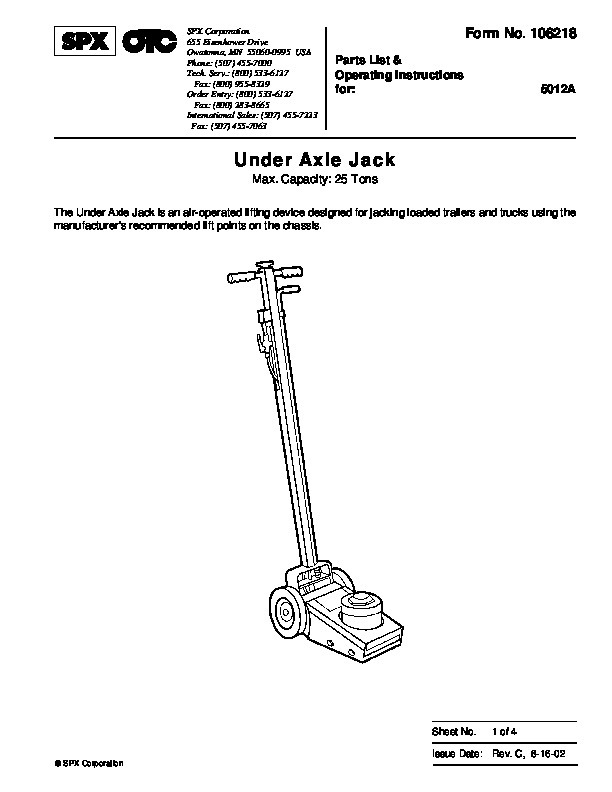 · Use the jack for lifting purposes only. 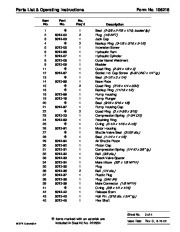 · A load must never exceed the rated lifting capacity of the jack. · Only use the jack on a hard, level surface. · Center the load on the jack saddle. Off-center loads can damage seals and cause jack failure. · Lift only dead weight. · Stay clear of lifted loads. Place support stands under the axles before working on the vehicle. Do not adjust the safety valve. Do not modify the jack or use adapters unless approved or supplied by OTC. Lower the jack slowly and carefully while watching the position of the jack saddle. Use only approved hydraulic fluid (Chevron AW Hydraulic Oil MV or equivalent). The use of alcohol, hydraulic brake fluid, or transmission oil could damage seals and result in jack failure. This guide cannot cover every situation, so always do the job with safety first. 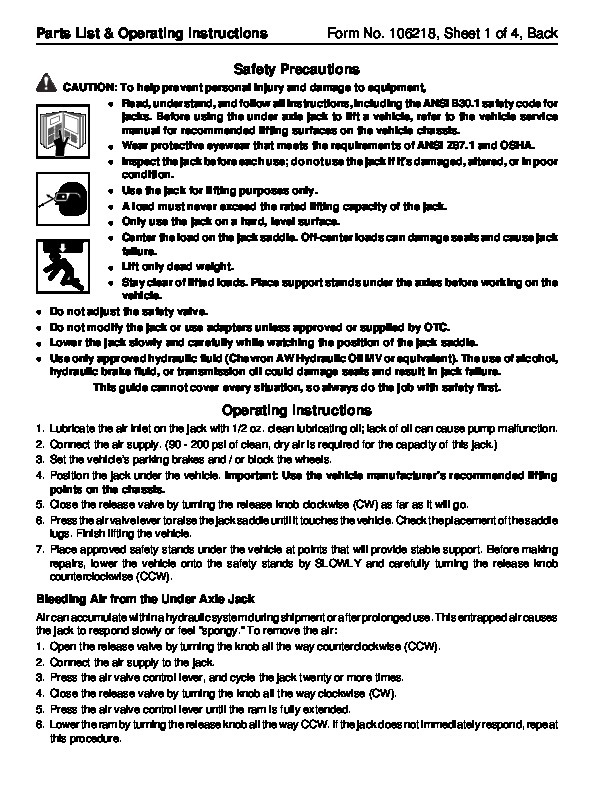 · Operating Instructions Lubricate the air inlet on the jack with 1/2 oz. 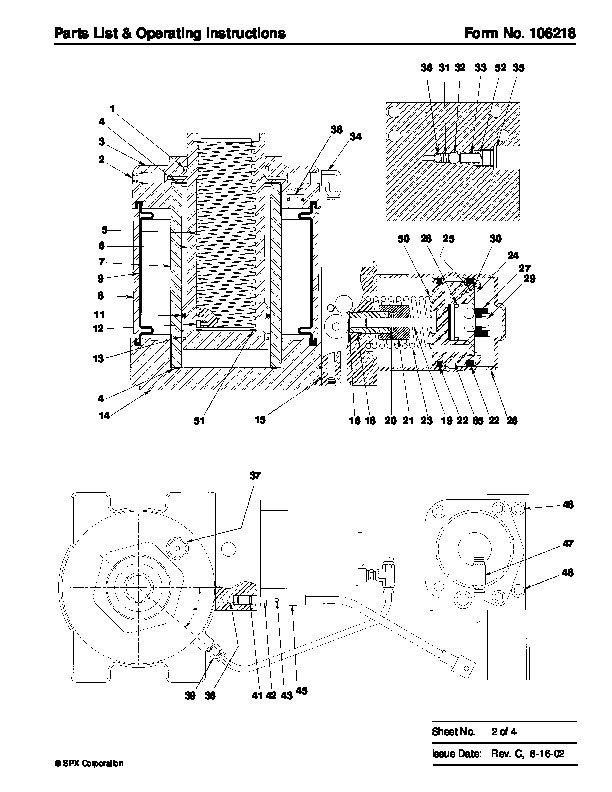 clean lubricating oil; lack of oil can cause pump malfunction. Connect the air supply. 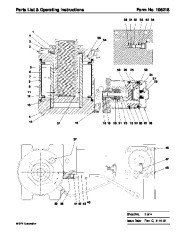 (90 – 200 psi of clean, dry air is required for the capacity of this jack.) Set the vehicle’s parking brakes and / or block the wheels. Position the jack under the vehicle. Important: Use the vehicle manufacturer’s recommended lifting points on the chassis. 5. Close the release valve by turning the release knob clockwise (CW) as far as it will go. 6. Press the air valve lever to raise the jack saddle until it touches the vehicle. Check the placement of the saddle lugs. Finish lifting the vehicle. 7. Place approved safety stands under the vehicle at points that will provide stable support. Before making repairs, lower the vehicle onto the safety stands by SLOWLY and carefully turning the release knob counterclockwise (CCW). 1. 2. 3. 4. 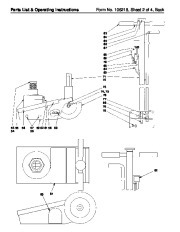 Bleeding Air from the Under Axle Jack Air can accumulate within a hydraulic system during shipment or after prolonged use. This entrapped air causes the jack to respond slowly or feel “spongy. ” To remove the air: 1. Open the release valve by turning the knob all the way counterclockwise (CCW). 2. Connect the air supply to the jack. 3. Press the air valve control lever, and cycle the jack twenty or more times. 4. Close the release valve by turning the knob all the way clockwise (CW). 5. Press the air valve control lever until the ram is fully extended. 6. Lower the ram by turning the release knob all the way CCW. If the jack does not immediately respond, repeat this procedure. 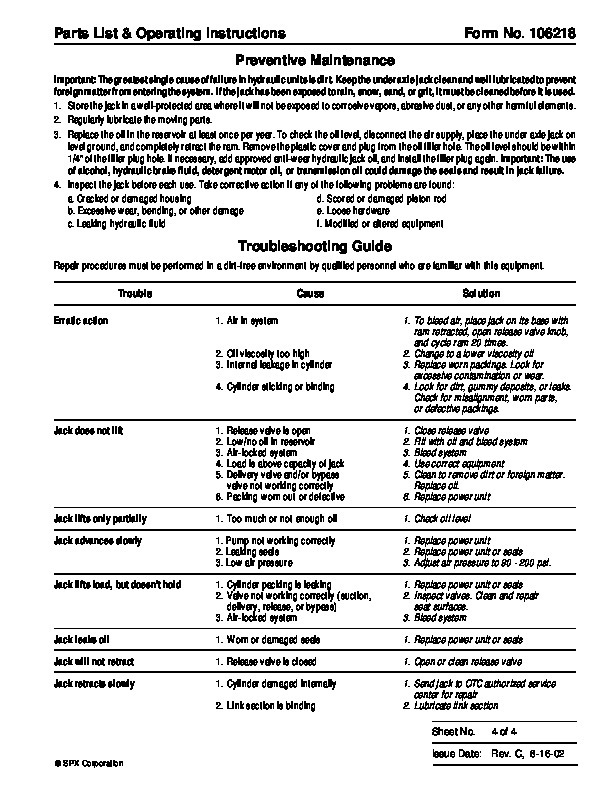 Parts List & Operating Instructions Form No. SPX Corporation 2 of 4 Issue Date: Rev. 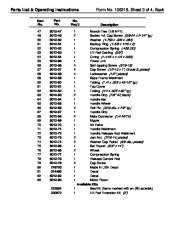 C, 8-16-02 Parts List & Operating Instructions Form No. 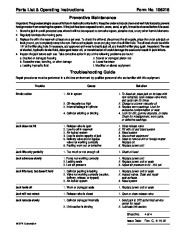 106218, Sheet 2 of 4, Back 63 64 65 66 67 68 69 70 68 62 60 71 72 73 74, 75 76 77 66 78 79 53 55 54 56 57 59 62 61 56 60 58 82 80 81 Parts List & Operating Instructions Item No.